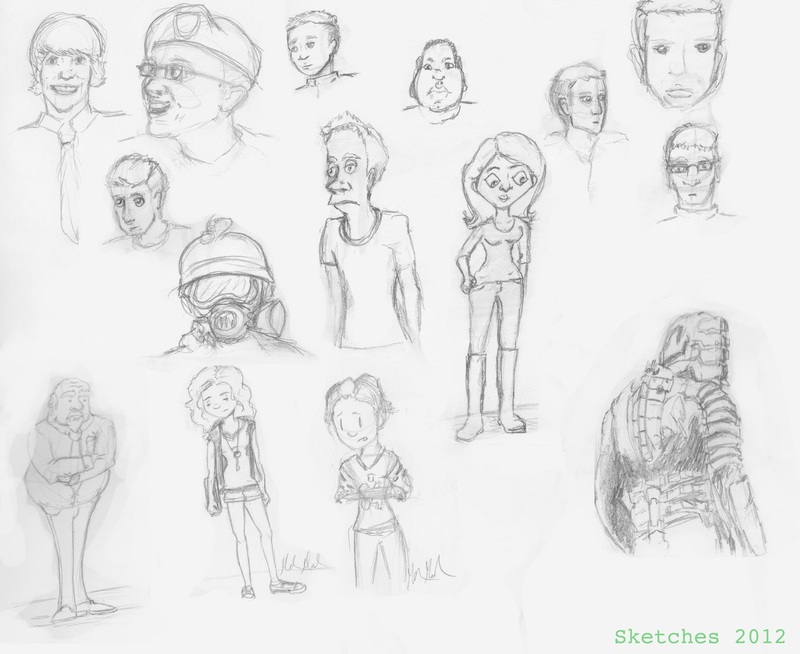 I usually never post sketches, but I feel if I did it might motivate me more to sketch, so I collected all the sketches from the last couple weeks and combined them together for your viewing pleasure :). There are only a few that I really like. The 2 in the top left corner, which are cartoon portraits of my boyfriend (also the gas mask one is a quick portrait of him preparing for field). 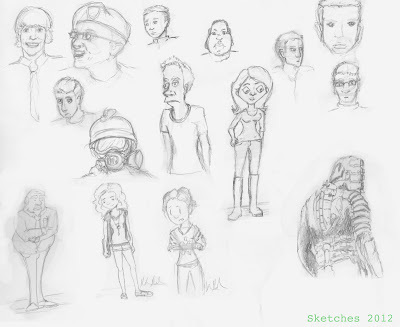 I also really like the Dead Space sketch (bottom left corner), which I did to prepare for my next sculpture project which is going to be Benjamin from the video game Dead Space. I thought I'd put this one by itself because it is the only one in color. 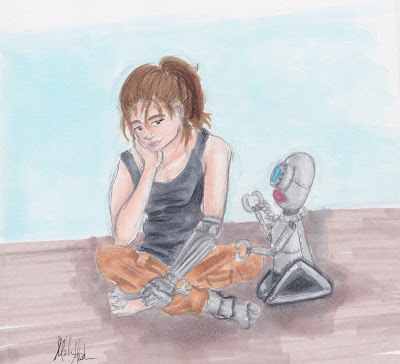 This is a fan-art for the book Cinder by Marissa Meyer. You can click on a link for a description of the book. I really liked the book, so when I finished it I just started sketching and Cinder and Iko appeared.